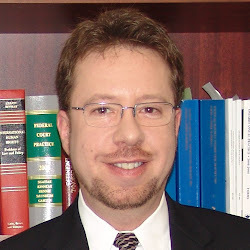 Steven Tress is a Criminal Lawyer in Toronto who has been successfully defending people facing criminal charges for over 25 years. It is important to hire a criminal defence lawyer who is experienced and knowledgeable with the criminal law and the criminal justice system. I assist people with many types of criminal charges. My knowledge and experience extends to every aspect of a criminal case, including bail hearings, trials and appeals and I can effectively represent you throughout the Greater Toronto Area. Popular media portrays many criminal defence lawyers as aggressive and pushy. Many of the fictitious criminal lawyers on television use deception and “legal tricks” with prosecutors and in court to win a case. This characterization, however, is not an accurate portrayal of criminal lawyers in Canada. Persistence (not aggressiveness) in taking every reasonable opportunity to achieve success. This may be the most important factor. Knowledge of the law comes from training and experience. It is a necessary component to successful legal representation. A criminal defence lawyer needs to be able to quickly identify the legal issues in order to formulate a strategic defence. Throughout a criminal lawyer’s practice, legal knowledge and courtroom experience continually accumulate, improving a defence lawyer’s command of the law and strategic abilities. A good criminal lawyer must have a thorough understanding of all the facts in a case against an accused person. This is accomplished by virtually memorizing the evidence and understanding how it is relevant to the charges. Thorough preparation enables a criminal lawyer to better cross-examine witnesses and find inconsistencies in testimony and evidence. A successful criminal defence involves arguing the law together with the facts of a case in an eloquent manner. This does not mean bullying the prosecutor, the judge or the jury. A successful argument is one that is knowledgeable and persuasive. A persistent approach to defend against a criminal charge involves putting forth the defence position at every reasonable opportunity. This does not involve aggressive behaviour towards either the prosecutor or the judge. Aggressiveness is not effective because the message delivered is distorted by emotion rather than appearing to be objective and reasonable. As an experienced Criminal Lawyer, I can seize various opportunities to successfully argue your case throughout the criminal court process.